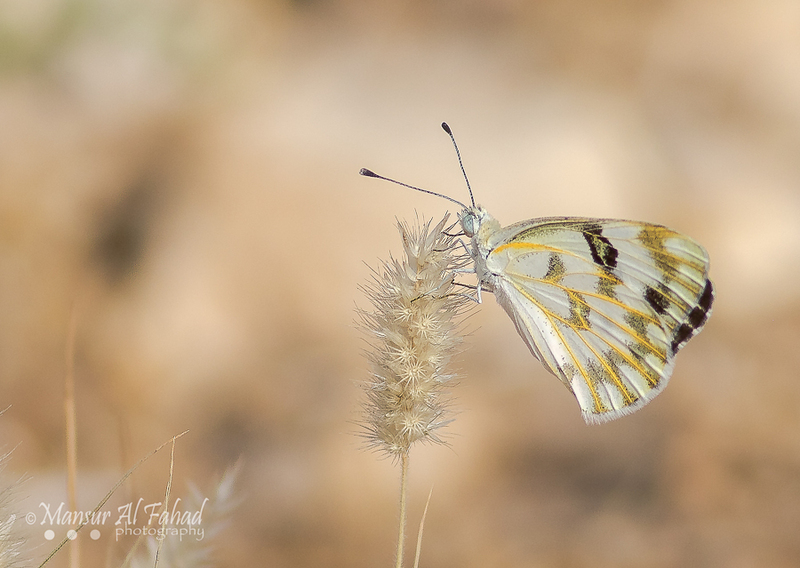 Mansur Al Fahad took a photograph of a Desert White Butterfly at Heet village south of Riyadh in early May. The area has some farms and semi-desert land and these butterflies are plentiful this year, as the good rains have helped the emergence of good vegetarian cover for them to feed on. It is relatively common from early March to early December in a multitude of overlapping broods that differ from area to area depending on the rains. The Desert White is variable especially with regard to the amount of ‘green’ pigmentation on the underside that can be very heavy to almost absent. This variability can be large and can even occur between generations. I thank Mansur for sending me the details, identification and permission to use them on my website.